Mr. E spotted him first, just as we were about to sit down to dinner. This young buck had about 6 points on him. My initial theory that the front yard, high traffic area (note the taillight of a passing car on the right) beds will keep the critters away is now officially and thoroughly discredited. 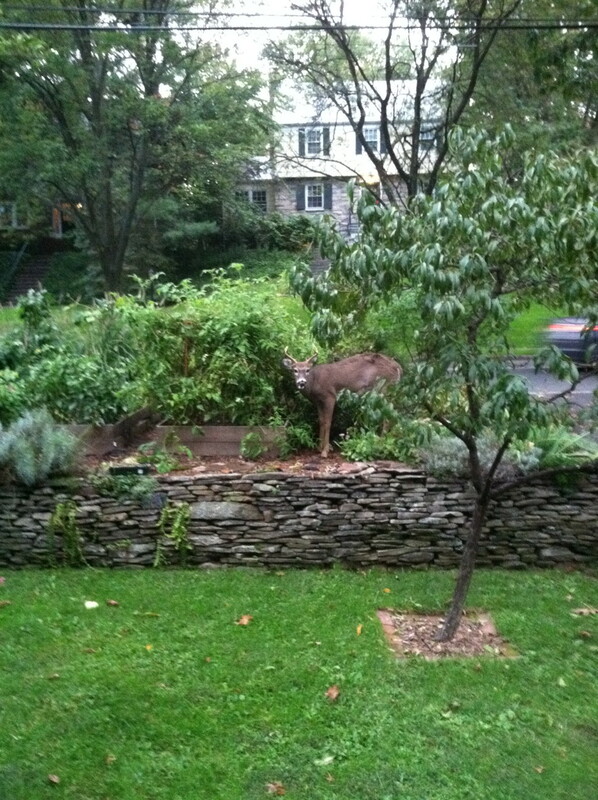 Squirrels, groundhogs, and now deer in broad daylight. Not much left but vines for him to chomp on. I’d already pulled a bunch of tomatoes the past few days. 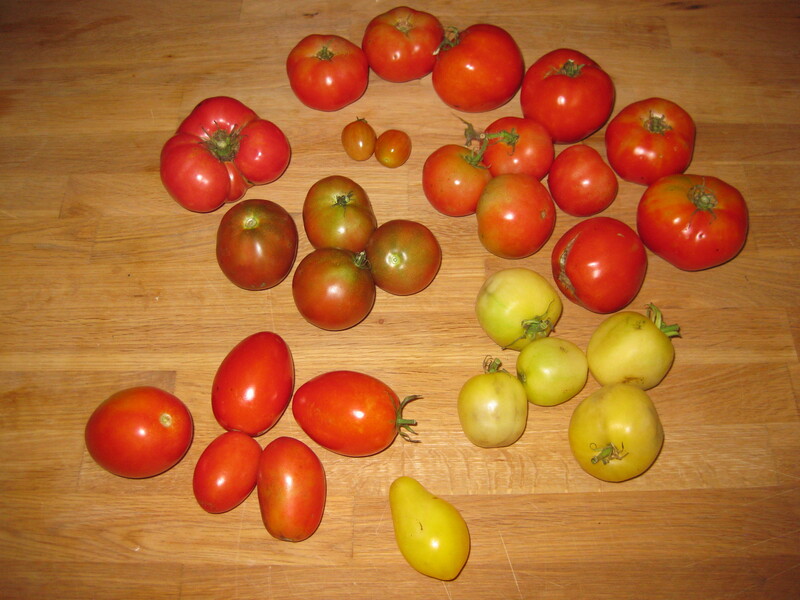 They all basically came in at once – about 100-120 days from seed to harvest. Ridiculous. I should have been eating these much sooner, but mistakes were made. Ah well. Please don’t let me complain about 30 fresh organic tomatoes for chrissakes! Tomato harvest overall sucked here in KC, I read a local gardening advice columnist say it was too cold in May, too wet in June, and too hot in July. I still have a few peppers coming in. It’s been cool in the AM, we’re preparing to move inside whatever is coming in for the winter. Anyway, thanks for sharing the pic, made me smile! Have a wonderful day! It was a neat experience. We see deer every once in a while around the neighborhood. Most of them wander down from South Mountain Reservation, a few blocks up the road. Sounds like our tomato weather was similar to yours. Hard to think about winter coming, ugh.